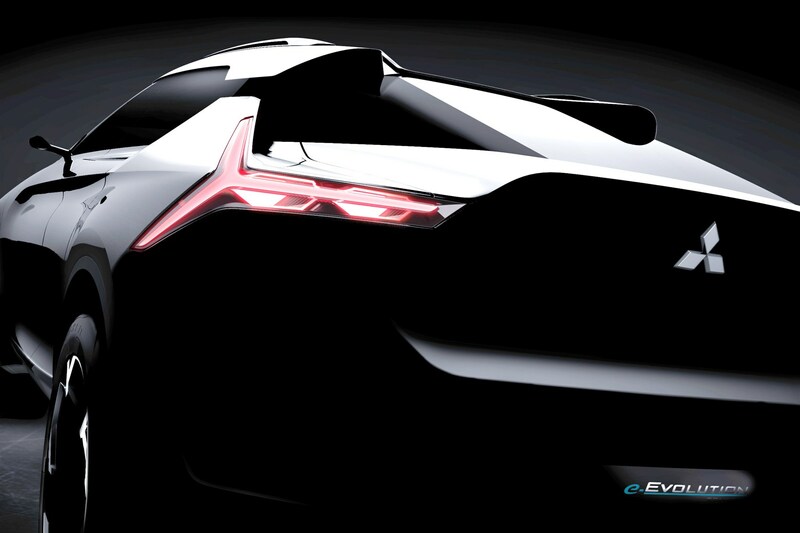 ► But it's an Evo – so why aren't we more excited? 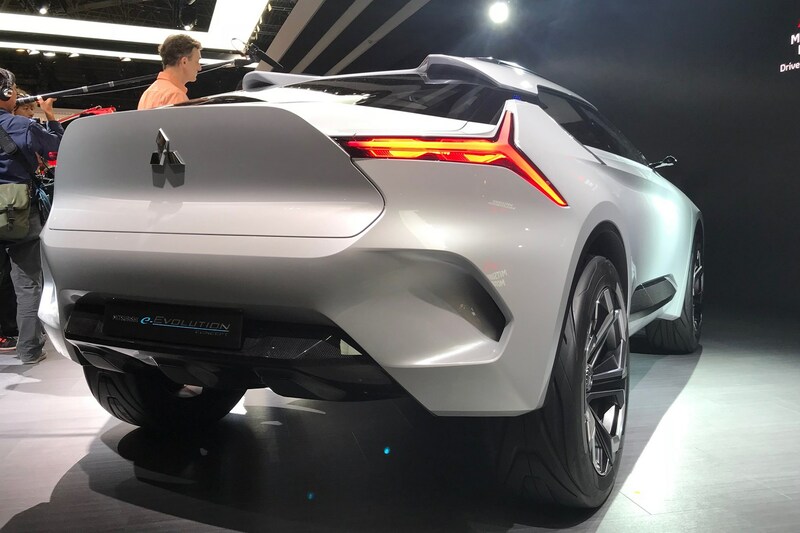 Previously shown at the Tokyo motor show in 2017, Mitsubishi’s e-Volution concept car has now received its European debut at the 2018 Geneva motor show, showcasing what the brand sees as its future in terms of design and under-the-skin tech. 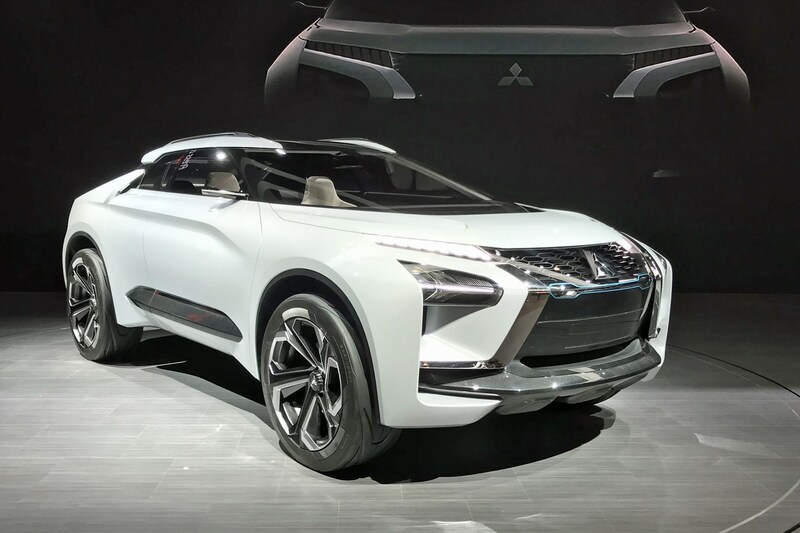 It’s all about demonstrating that Mitsubishi’s future will continue to push plug-in technology – be it full electric or plug-in hybrid tech like the successful Outlander PHEV – in what’s set to be a growing range of SUV models. 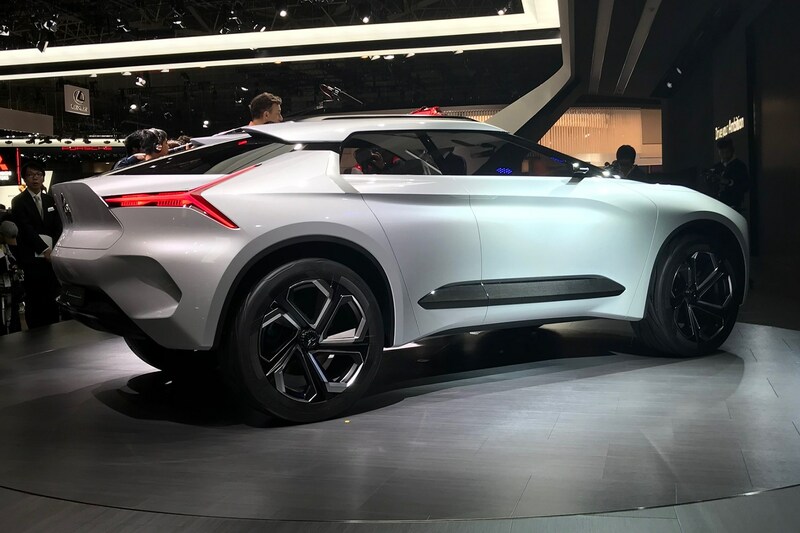 Mitsubishi confirmed at Tokyo that it's emotively-named e-Evolution concept will feature Level 4 autonomy, allowing its driver to enjoy 'mind off' driving. We're not sure how we feel about a vehicle named after such a performance car legend which is so driver un-focused, but it’s hard to ignore that cars do generally seem to be heading this way. As such, Mitsubishi's most famous Evo name-plate has been revived not on a performance saloon, but a low-slung crossover. 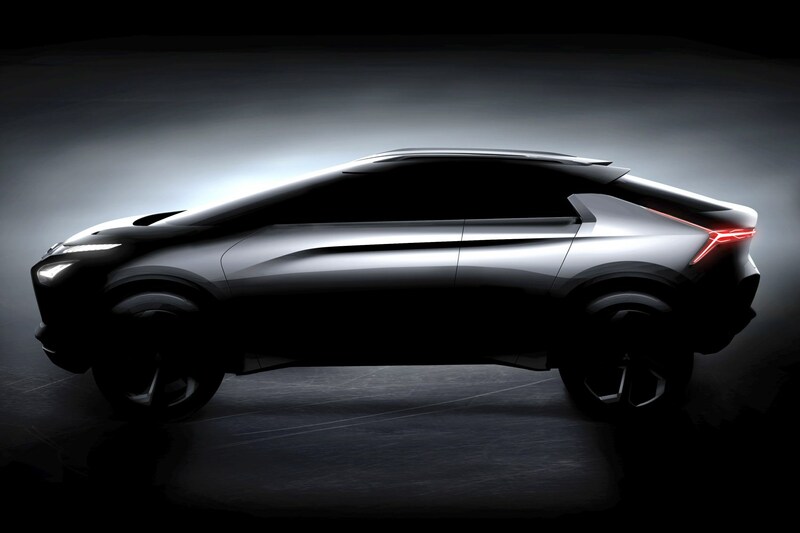 How does the new Mistubishi Evo look in the metal? All the ingredients are there to rival the likes of the Hyundai Kona and Nissan Juke, with a floating roof design topped with rails, bulging wheelarches and a steeply-raked rear window. It almost looks like a Lancer hatch has injected some Tron juice into its veins. Up close and personal, it’s a very chunky little thing, and the design – while striking – can be seen as quite fussy. There are lines, creases and angles galore, but expect to see a production version of this toned down heavily. Tech specs include a triple-motor four-wheel drive system where one motor drives the front and one drives each of the rear wheels. New ‘Dual Motor Active Yaw Control’ couples the rear motors to an electronically-controlled torque vectoring system. The e-Evolution keeps an eye on how you drive and uses the personal assistant to help out with safety info, communicating with family and friends and controlling things like the climate control and headlights. The AI system can connect with both Amazon Alexa and Google Home, depending on which the e-Evolution owner uses. 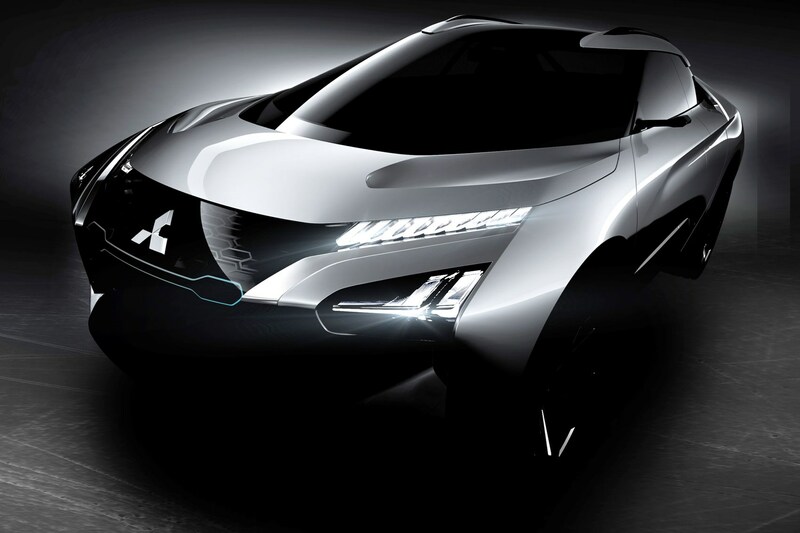 Recent years have seen a flurry of concept car activity from Mitsubishi. 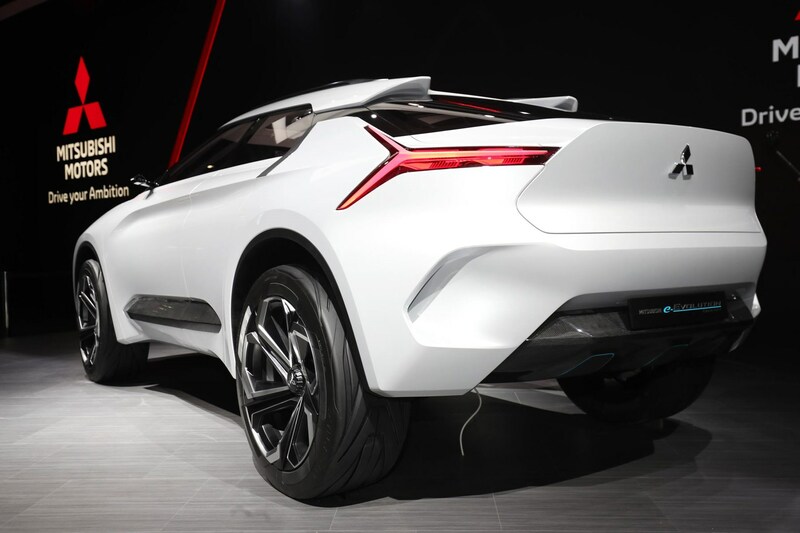 The XR concept previewed the all-new Eclipse Cross, for example, and the GT-PHEV is said to give us a glimpse into the next Shogun, so it’s not impossible that this will see the light of day, just expect it to be not quite as radical as the eye-catching show car.